Hello my lovelies! I know it's been so, so long since you've seen a review, let alone a post from me! 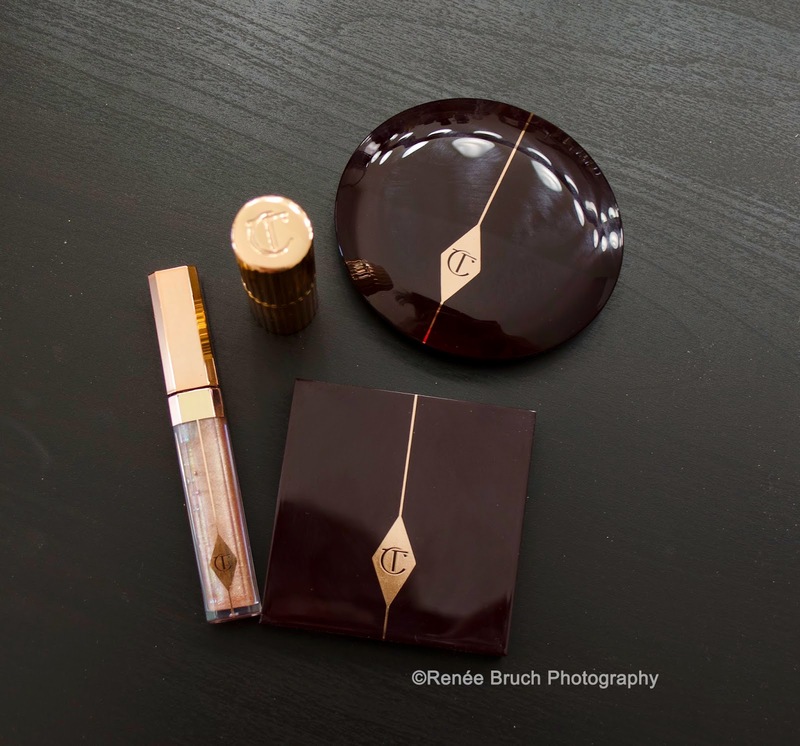 Today I will be reviewing several items from the Charlotte Tilbury cosmetics line. Based in the UK, it was just recently brought to the website Beautylish. http://www.beautylish.com . Just a warning, this is going to be a very photo heavy post because I created 2 different looks using several items I picked up from the Charlotte Tilbury line. Let's talk packaging for a moment. It is absolutely stunning and I love the classic and clean look. *There are a total of 8 eyeshadow palettes. I chose this palette because it was very neutral with just the right amount of drama. These shadows are buttery, creamy and an absolute cinch to blend. Each shadow in the palette has a specific purpose and is named for that purpose. The shades are numbered and go clockwise: 1. "Prime" (a slightly creamy golden color with light shimmer); 2. "Enhance" (A matte burgundy brown shade that can be used lightly in the crease or built up. ); 3. "Smoke" (a deep brown shade with a hint of a satin finish. I detect a very slight olive tone in this shade as well) and 4. "Pop" (A highly shimmery golden color that is perfect for the center of the lids to give it that extra "oomph" for nighttime). 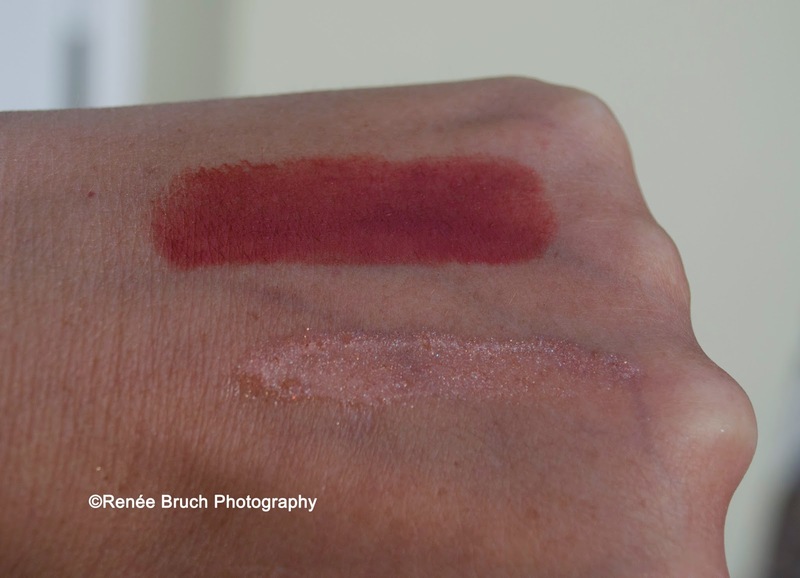 Please see swatches in natural light below. Left to right: "Prime", "Enchance", "Smoke" & "Pop". That "Pop" shade is amazing!!! This compact contains two different shades. This particular blush has a subtle peach/pink outer right with a brighter "pop" color in the center which is to be used just to pop a bit of extra color right on the apples of the cheeks. I detect a slight glow to these shades, but it is not overwhelming on the cheeks at all. Very smooth and easily blendable. Just lovely! 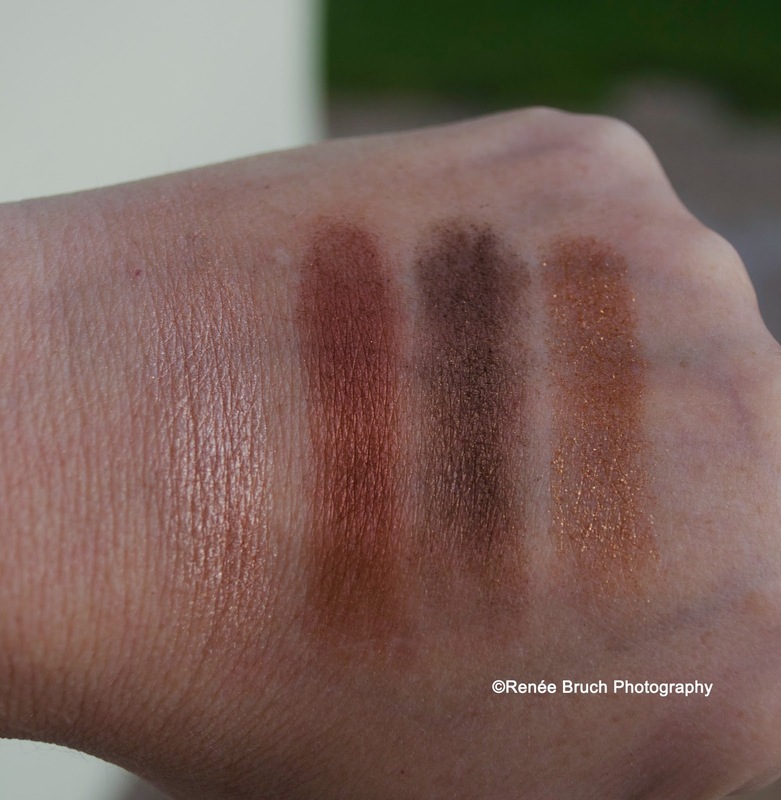 Swatches in natural light below: From left to right: "Swish" and "Pop". *There are a total of 10 lipstick shades ranging from lovely nudes to gorgeous reds. The K.I.S.S.I.N.G. lipsticks are very creamy in texture and go on sheer or can be built up to full color. Filled with essential oils, UV protection and special waxes this lipstick is very comfortable to wear. It does not bleed outside the lipline. "Stoned Rose" is a lovely slightly brown rose that is a terrific neutral for everyday. Website quote: "Lip Lustre is a super luxe, high-gloss lacquer that gives your lips a brilliant mirror-shine finish, creating the illusion of a 3-dimensional, voluptuous pout." I was especially drawn to this color because it was used in the tutorial I watched and has a lovely sheer yet shimmery finish. The perfect wear alone gloss or as a topper to any neutral lipstick. It really does make the lips look extra luscious. 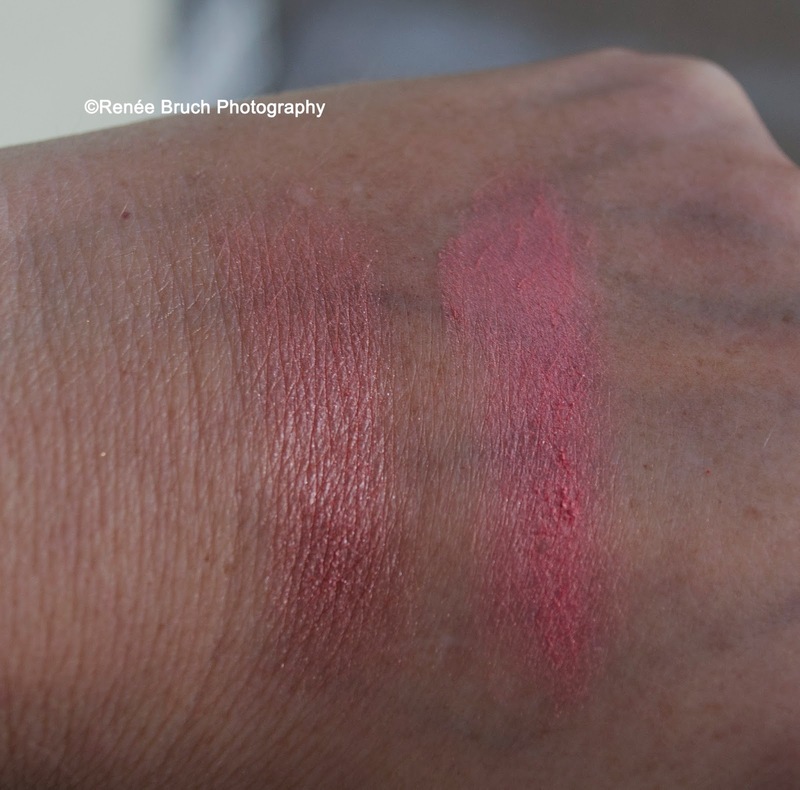 Swatches of lipstick and lip lustre in natural daylight down below: Top - "Stoned Rose" and Bottom: "Ibiza Nights"
Just as shown in the short tutorial films Charlotte Tilbury performed on Beautylish, I decided to create two different looks using these products. 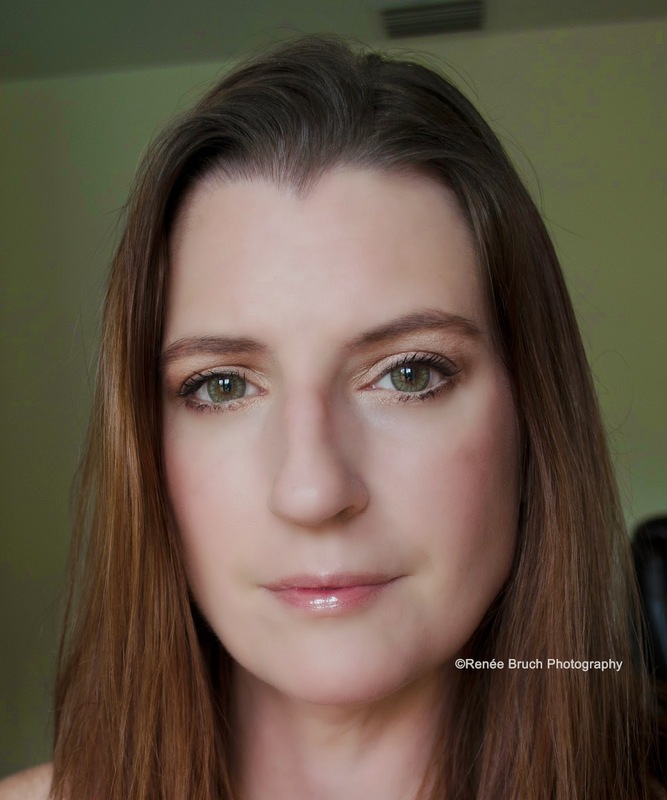 The first is a light daytime look using all the products with the exception of the lipstick. I used only three shades in the eyeshadow palette. 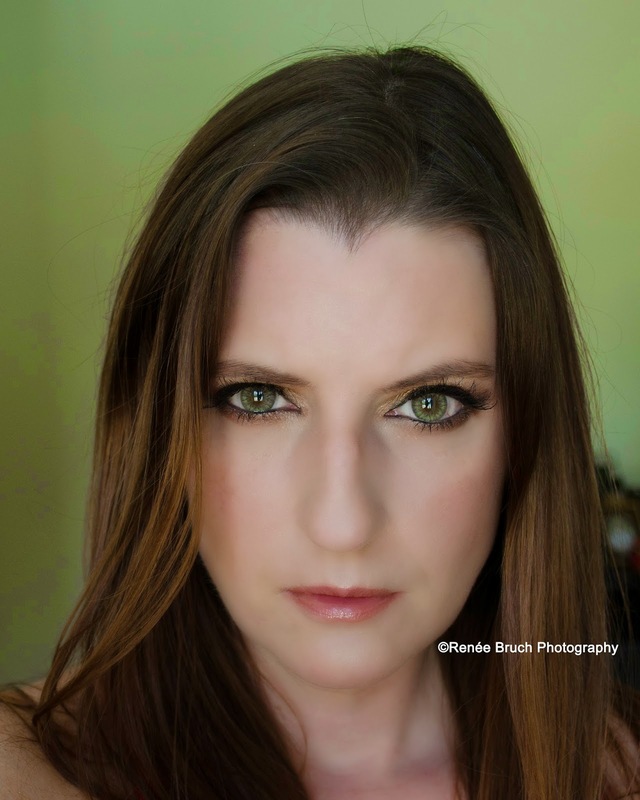 The Prime, Enhance and Smoke shades and created a very neutral daytime eye look. I used the "Swish" part of the blush on the back of my cheeks and used the "Pop" shade on the apples of my cheeks. To finish the look I used the Lip Lustre "Ibiza Nights" for some shine on my lips. 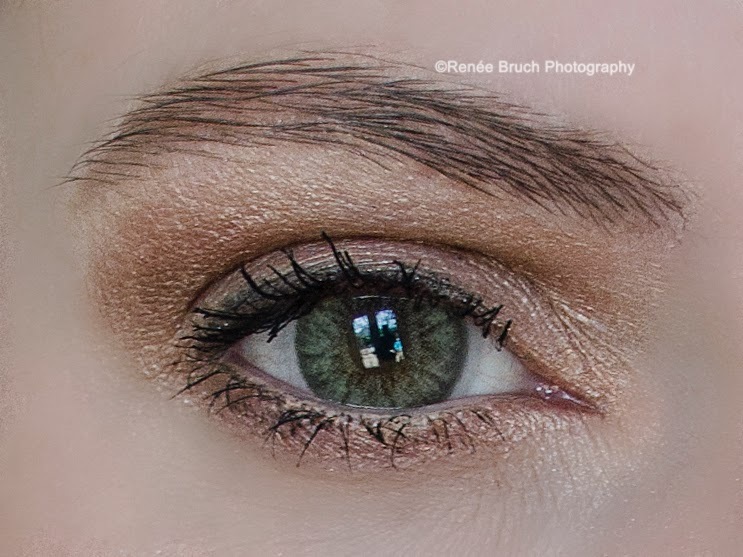 I then took things up a notch and added some drama to my look by just adding some more color from "The Dolce Vita" eye palette. Using my finger I applied the "Pop" shade to the center of my lids giving it a lovely golden glow and also took it into my tear duct. 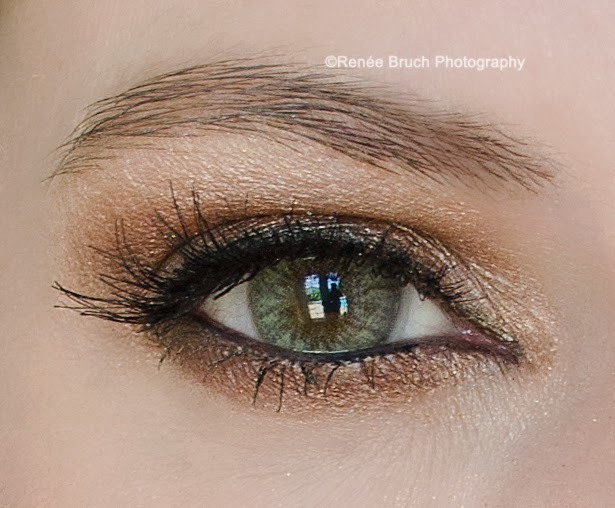 I deepened the crease with the "Enhance" and "Smoke" shades. And took all three under the lashline and added black eyeliner and lashes. I also deepened the blush using the same technique as earlier and added my own highlighter. I then added the lipstick in "Stoned Rose" topped with "Ibiza Nights." 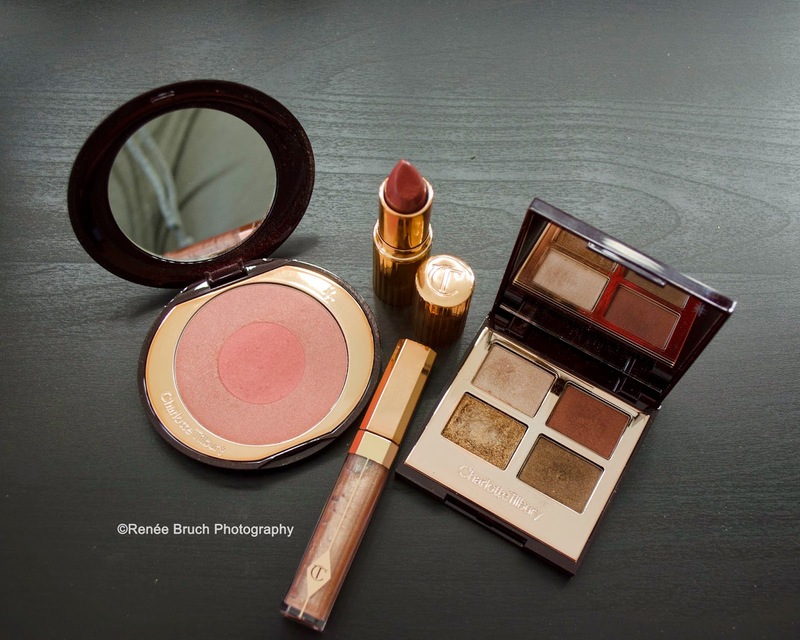 While the Charlotte Tilbury line is definitely a luxury brand I feel that it is worth every penny. The line contains many more items, such as her famous "Magic Cream", a bronzer and highlight duo, etc. I definitely plan on purchasing more of Charlotte Tilbury's makeup line in the near future. I hope that you all enjoyed this long overdue post and that it was helpful to you. I highly recommend checking out the line. Also, there will be a special Christmas edition coming out for the season! Bye for now my lovelies! Please check me out on all my other social media. Instagram @beautography_by_bruch. Twitter @ReneeBruchPhoto. You can also visit my Facebook page at www.facebook.com/ReneeBruchPhotography and my official website at www.reneebruch.com. Please feel free to leave any comments or questions as I'm always thrilled to hear from you all!